Have you been puzzled by these seemingly impossible events from the Bible? 1. How could the universe and everything in it have been created in seven days when the evidence suggests it took millions, if not billions of years for it to form? 2. Is it really possible that Joshua could have stopped the sun and moon on command as related in the Old Testament? Wouldn't the entire solar system collapse if that were to happen? 3. Can Heaven actually exist and, if so, just where is it? 4. At death is it reasonable to believe the human spirit can be separated from our physical bodies and be transmitted to Heaven? If so, how is this accomplished? 5. The Bible predicts that our every thought and action will be revealed in Heaven. Is this possible using existing laws of physics? 6. Could Jesus have actually appeared and then disappeared seemingly by magic as described by the Apostle John? 7. 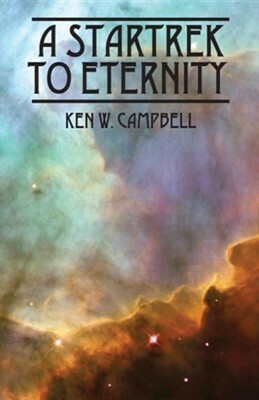 Is it reasonable to believe that time will stand still in Heaven and life can be eternal? The purpose of this book is to show how the events mentioned above may actually be possible using existing laws of science. I'm the author/artist and I want to review A Startrek to Eternity.